How Many Americans Use a Budget? The answer may surprise you: According to a recent study by U.S. Bank, 41% of Americans say they use a budget – up from a Gallup poll in 2013 that put the percentage at 32% - or one in three households. That means a large majority of people are not keeping track of their finances in any organized fashion. Creating and sticking with a budget is known to be one of the most effective ways to manage and save money. So why aren’t more people doing it? Especially in a time where online banking and budgeting programs are on the rise, one would assume that more people would use these resources to manage their finances. However, in 2013, according to the Gallup poll, only 32% use online financial software to manage their money. Why Create and Use a Budget? If you’re not convinced that you need to use a budget, consider this: budgeting helps you come up with a solid plan on how you will spend and save your money, ensuring that you have enough funds for the items you need – and can save for other items you want. You can also use a budget to avoid getting into credit card and other debt and incurring hefty finance charges on any money you may need or choose to borrow that you don’t have on hand. A personal budget helps you set and reach your financial goals at any stage in life, whether it’s saving for your first house or preparing for retirement. It also forces you to only spend what you have allotted toward any one item, and gives you the peace of mind that at the end of the month, you will have all your bills covered. Ideally a budget should also include savings for rainy day or extraordinary expenses, as well as long-term savings such as your kids’ college or retirement. In sum, with a solid budget in place, you are in control of your money. For many, mobile budgeting tools are helpful, such as Hanscom Federal Credit Union’s popular My Money Manager. You can also find a free budget calculator offered by Quicken here, based on your income and expenses. Of course, the best budget on the planet is only as good as how close you stick with it. That’s where discipline comes in. You might have to say no to that impulse purchase, but the payoff may be taking that vacation that you always dreamed of. Every financial expert agrees that budgeting pays off, both in the short term and the long term. Today, there are so many tools available to help you budget that there should be no excuse not to. Don’t be like the majority of Americans that don’t plan and manage their money with a budget: get one started, or review your existing budget today. Do you have any budgeting advice you’d like to give? Just let us know in the comments below! 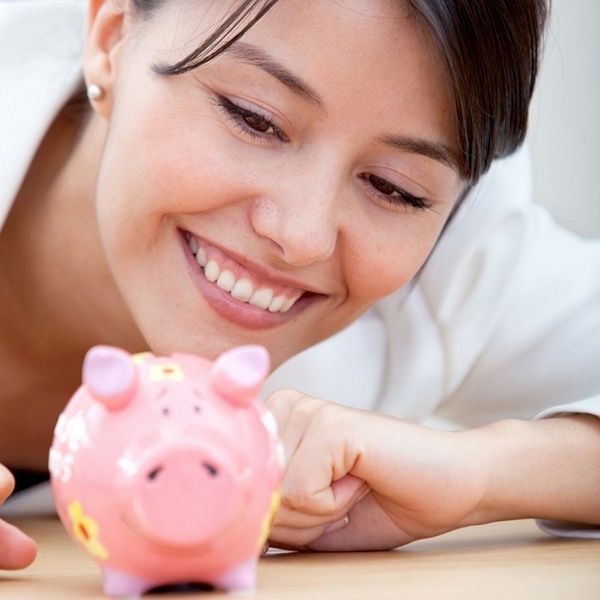 Hanscom Federal Credit Union’s Money Management Planner is our most popular free guide. Find out why so many members use this tool to create a personal budget. Start your financial plan by downloading a copy today. Trish Reske is an award-winning writer and freelance marketing professional from Westborough, MA. She is married to an awesome dad of their four teenage-to-grown children.